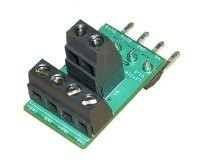 signal conditionning unit from 4-20 mA signals. 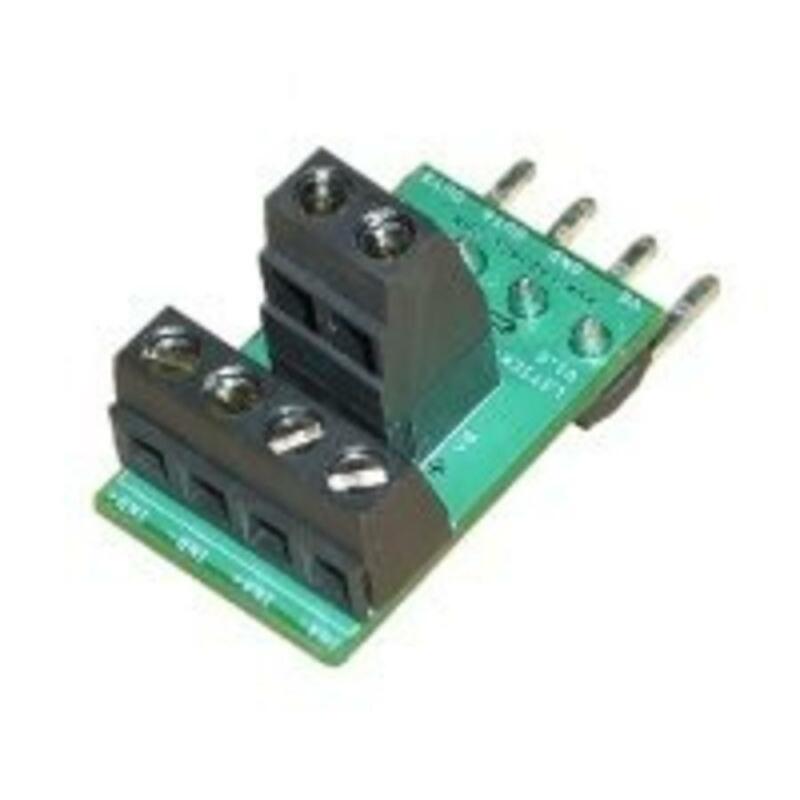 The LJTick-CurrentShunt (LJTCS) is a signal-conditioning module designed to convert a 4-20 mA current loop input signal into a 0.47-2.36 volt signal compatible with the LabJack U3, U6, T7 or UE9. The 4-pin design plugs into the standard AIN/AIN/GND/VS screw terminal block found on newer LabJacks such as the U3, U6 and UE9. Can not be used with U12. The major advantages of the LJTCS, compared to using a simple load resistor, are ease of use, high common-mode range, and lower voltage drop on the 4-20 mA signal. INA+/INA- (or INB+/INB-): The 4-20 mA current loop should be connected to INA+ and INA- such that the current flows into INA+ and out of INA-. Each channel has a 5.9 Ω measurement resistor, and the voltage across that resistor is amplified by x20. So 4 mA gives about 0.472 volts and 20 mA gives about 2.36 volts.